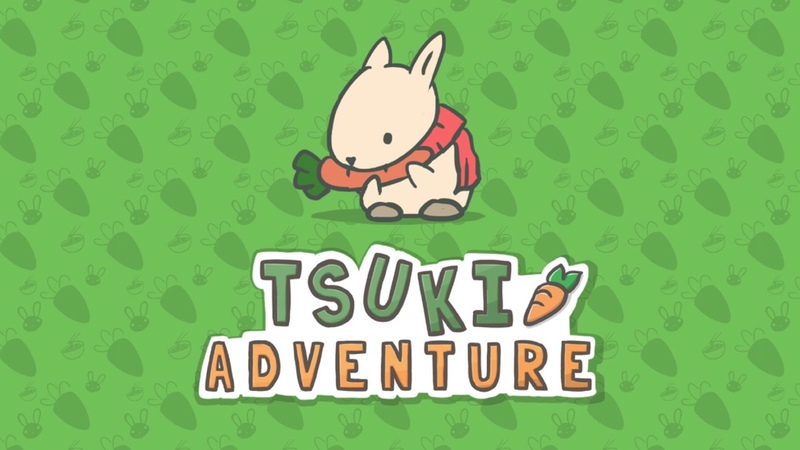 Tsuki is an adorable little rabbit who gets tired of his office job in the big city and decided to move to the country to manage his uncle’s carrot farm. It’s a mostly hands-off game that you return to every once in a while to see what Tsuki is doing. But there are some interactive objects and other things you can do. People keep asking for help on my videos, so I figured I’d start a guide with some tips and tricks I picked up. Feel free to ask for extra help or offer your own in the comments section. Carrots are the game’s currency. You get 50 every time you pick them. Use them to buy items. I recommend saving up 1000 for a golden ticket to the city, though. You can also purchase more carrots through IAPs or by watching ads (which the game oddly calls a survey). You can buy different items in the shop. 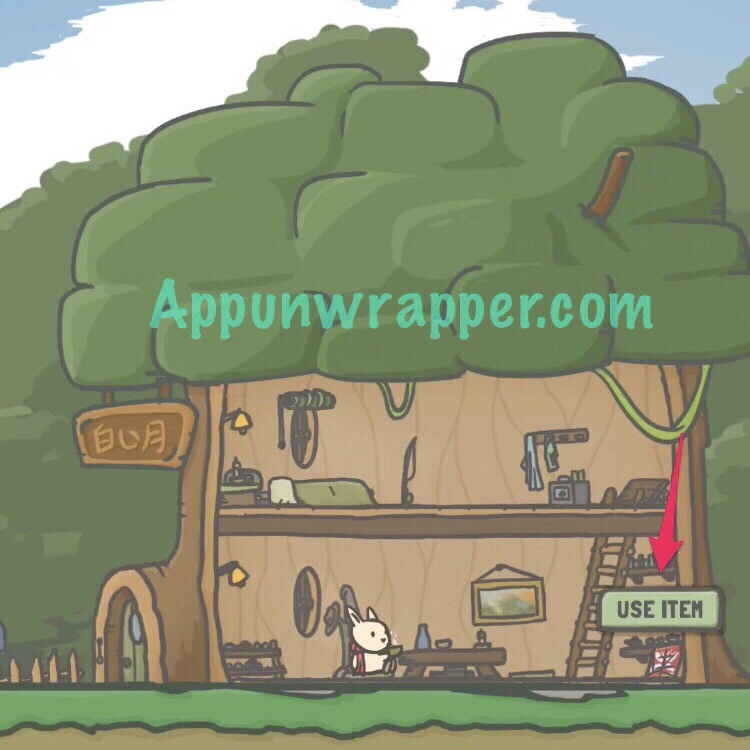 Those items will then appear in your inventory, but some of them will also show up in Tsuki’s home. You can then tap on them and use them. For instance, you can use the fishing rod to get Tsuki to go fishing, or use the kite to have him go fly a kite. Make sure to check the house after you buy an item to see if it shows up there. You can sell the fish to the shopkeeper for a few carrots! Other than that, I’m not sure that they serve any purpose. You can use tickets in the toy dispenser to win one of many collectible toys (GACHAPON) in the game. After you play for a while, the train to the city will become available. But a ticket costs 1000 carrots. Once you save up, buy a golden ticket from the train station and then talk to the conductor. Give him your ticket when you’re ready to leave. This has been bugged for me, though, so every time I go to the city, I end up only seeing the train station. If this happens to you, try going into settings, then the safe and enter TSUKIOFFER as a code to get 1000 carrots to replace the ones you lost. If that doesn’t work, try YAYTSUKI. Another is ILOVERABBITS. If you get stuck in the city due to a bug, and want to get back to the country, go to settings, open the safe, and enter the code COUNTRYROAD. My tsuki has been in the city for four days now, I’m getting worried it’s a bug! Actually it’s gonna take a quite long time to get to the city and then another couple of days for tsuki to stay there. I have gone to the city twice and everything is okay, don’t think it’s a bug. A lot of things to expect while stay in the city actually, like they get me a luxurious hotel room today (not the little one with the mini bar anymore). Is it me or after i enter “yaytsuki”, all the other codes wont work anymore? I have duck eggs but Bobo doesn’t ask for them. He never asked even before I didn’t have them. Idk what to do so he would ask for them? Do I need to talk to him a lot? I have red hearts with him. And I don’t want to sell my duck eggs because now when I go to the place where you can get those eggs, the duck won’t appear no matter how many times i try! Even at night, even at daytime. you should be able to click on the item to sell it. I’ve recently updated the app, and since then the train conductor has disappeared from his usual spot. Is this a bug or is there another way to get to the city now? It’s part of the update, he shows up randomly now, he will be back soon! What am I supposed to do with the ramen I won in the toy machine? Do I just keep it? Can you sell items back because I keep buying the ‘cup noodle’s and I I can’t do anything with them. They just sit in my backpack and don’t show up at Tsuki’s House. Also none of the codes work for me. How do you resell stuff to the beaver woodworker?